Once again it was time to clean up the area around Cosy Beach. 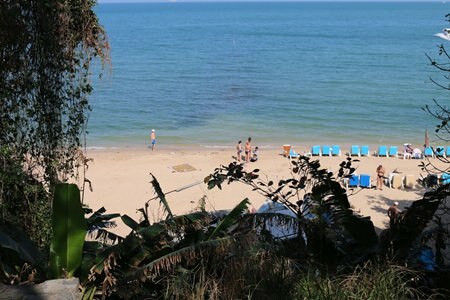 The Green Pattaya team has been here many time before and it was with sadness they could see the area is back to being a rubbish dump due to tourists, construction workers having late night picnics and people selling drinks on the beach not bothering to take their rubbish away with them. Unfortunately there was even more rubbish down on the beach, leaving a tourist sun bathing in a stink coming from two big heaps. Green Pattaya and city hall had not sent enough manpower to remove all of this rubbish; however, Green Pattaya have decided to come back on the 11 February with cleaners, officials from city hall, the media and hopefully a big group of volunteers to once again restore the beauty to this lovely beach. You can clearly see the rubbish on the beach and under the palms is a garbage dump. The Green Pattaya volunteers this time had members from Finland, Argentina, UK, Sweden, France and Thailand. 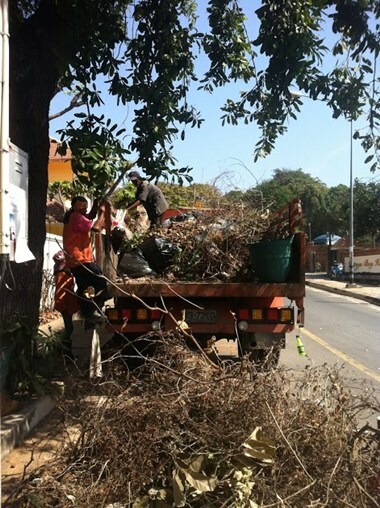 They all took on the challenge and managed with the help of city hall to fill two trucks with rubbish. 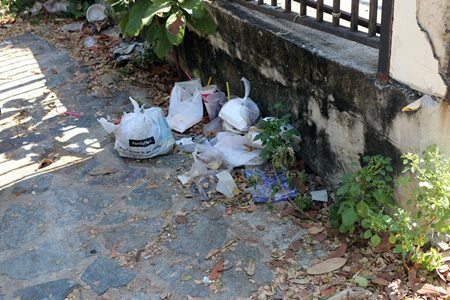 Even the city hall staff was dismayed by the large amount of rubbish that had gathered there over only two months. Refreshments were provided by Kingdom Property and Kwaang DJ at Nova FM. Even with a bin people put the rubbish on the floor. A plan to put up signs and supply more garbage bins is underway but will this solve the problem if at least one garbage bin on site is still half empty? 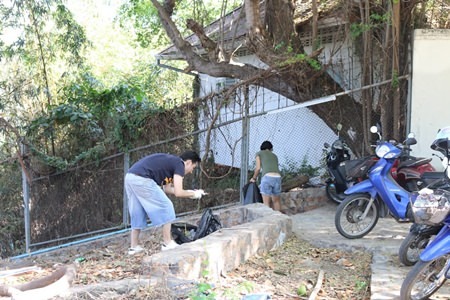 We therefore invite you all to the next Green Pattaya at 10:00 on the 11th of February to help us clean Cosy Beach. The theme for this cleaning will be “bring your own food” so get ready to taste different snacks and appetizers from around the world at the next Green Pattaya Picnic. Two of these trucks were loaded with rubbish and there is still more to pick up. Green Pattaya volunteers from Argentina and France. Previous articleYour prostate – is laser the answer?